We supply channels as diverse as Schools, Grocers, Resorts and Hotels, Bounce Parks, Leisure Parks, Fuel and Convenience to name a few. It’s a beverage that everyone enjoys from indulging themselves as a daily refresher or as something to wash down a lunchtime meal. Our response to recent consumer demand for reduced sugar and no sugar drinks led to South Africa’s first low and no sugar frozen drinks (slush) available in selected outlets. Our superb range now provides guilt free indulgence to all thirsty consumers. Through a recent partnership with Slush Puppie UK, Frozen Drinks Africa now offers global best practice drinks innovation and the power of global brands to all its partners across South Africa. 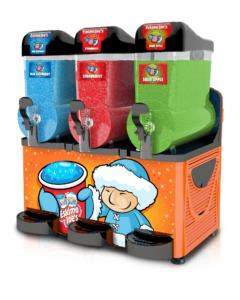 Our goal is to place slush machines and frozen drinks dispensers with in arms reach of every consumer in South Africa no matter where they are. 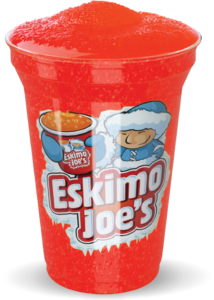 Is a premium slush or frozen drink aimed at the differentiating retailer looking for a strong brand and premium offering. This un-carbonated frozen beverage boasts an impressive range of reduced and no sugar versions. Supported with effective point of sale and activation tools. Is South Africa’s Number 1 fizzy frozen drink. It’s a must for any ultra-high volume outlets looking for a big brand that delivers big sales with big profits. 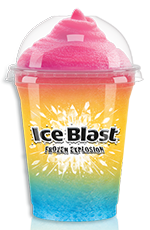 If you need a way to deliver fast serve frozen refreshment to your customers, backed up by the power of a household brand name then Ice Blast is our solution just waIting for you to sell. Known for having an excellent range of traditional “slush” drinks, Frutina is dispensed from the uniquely branded and attractive Frutina Ice slush machines. Our range of popular flavours, branded cup sizes and unique spoon straw complete this amazing drinks package.